Trigger Pull: Long and hard (trigger actuates the barrel forward allowing a BB to load and then snapping back to activate the CO2 release). Build Quality: Lots of plastic but it does not feel cheap, the internal mechanical parts and frame appear to be made of out of metals. Realism: Even though there is a lot of plastic this is a 1 to 1 scale replica with full H&K licensing. It is a very accurate replica of the original. 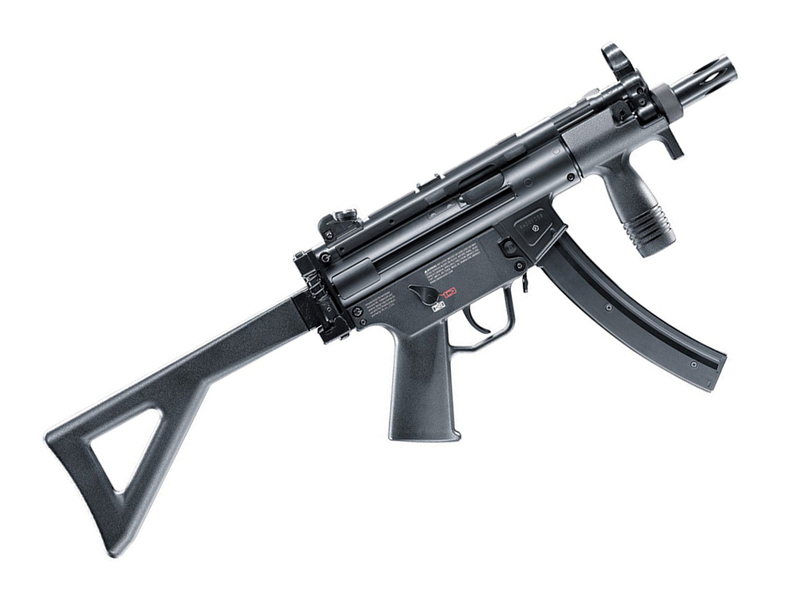 Comments: The Umarex H&K MP5K PDW 4.5mm BB Replica is a very realistic BB Repeater. 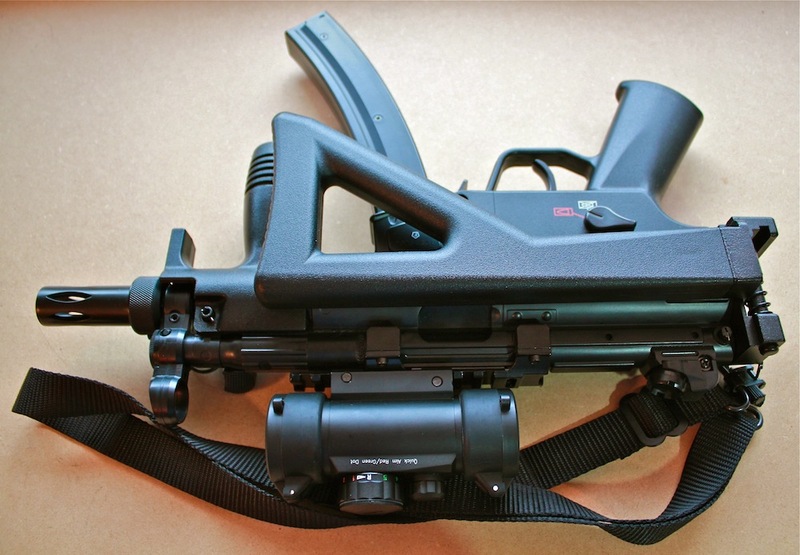 It's fun to shoot and seems to have an endless magazine. The Blowback does give it a little bit of recoil when you have a fresh CO2, just don't expect too much. The outer shell of the gun is mainly made out of plastic but for about $125 you really can't expect an all metal version. 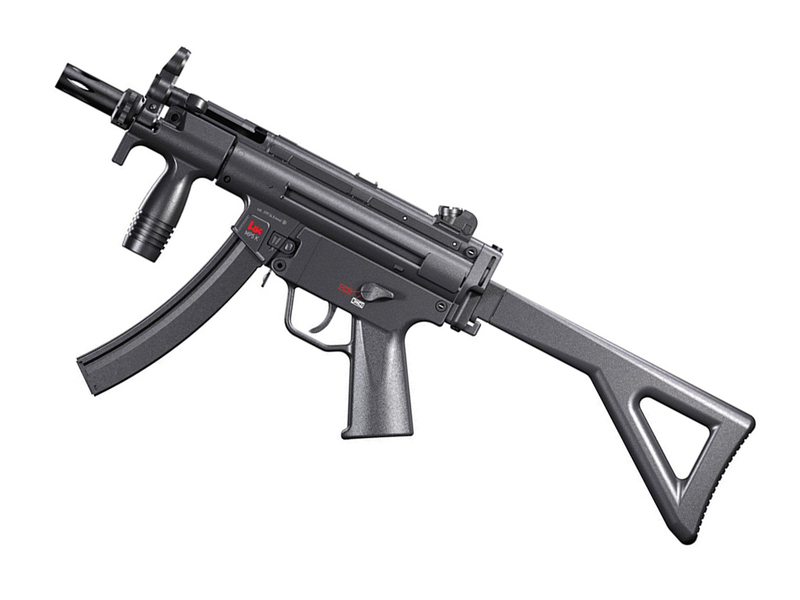 If you're looking for a true Tactical styled BB gun, this would make an excellent choice. 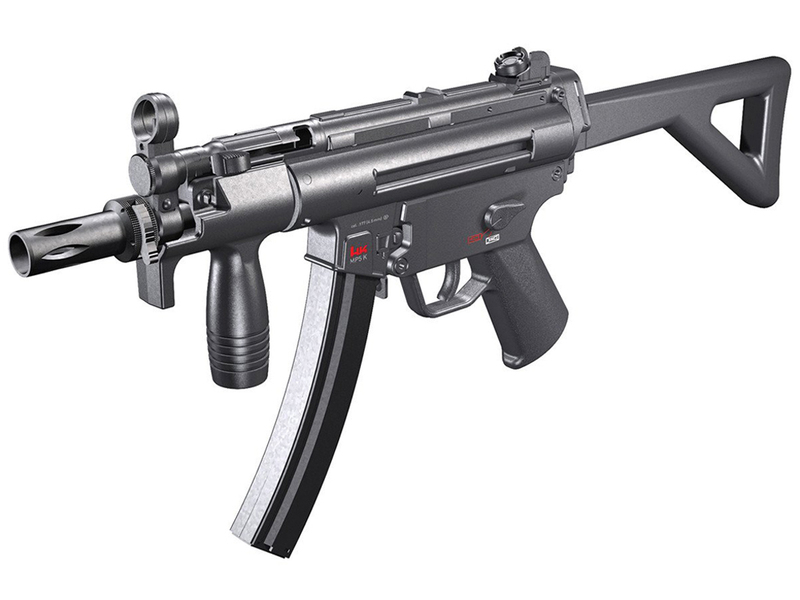 The Umarex H&K MP5K PDW 4.5mm BB Replica is a very realistic BB Repeater. It's fun to shoot and seems to have an endless magazine. The Blowback does give it s little bit of recoil when you have a fresh CO2, just don't expect too much. The outer shell of the gun is mainly made out of plastic but for about $125 you really can't expect an all metal version. 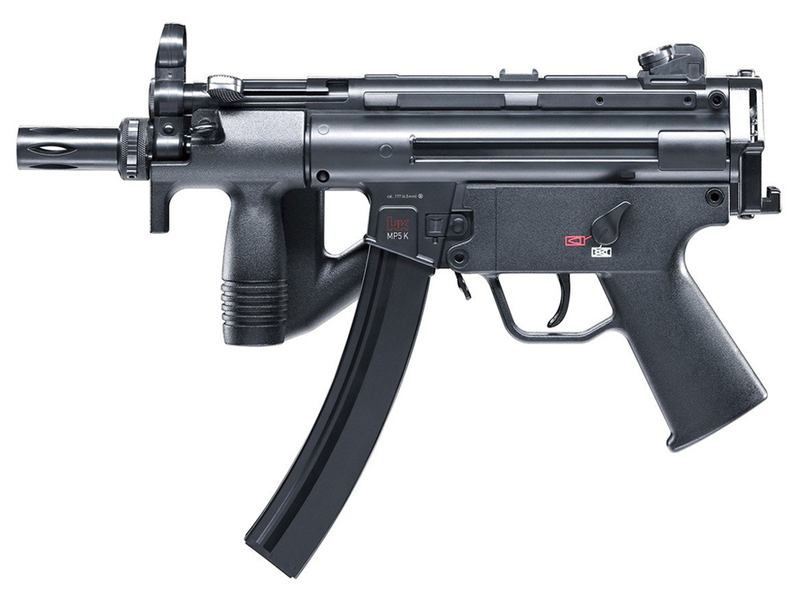 If you're looking for a true Tactical styled BB gun, this would make an excellent choice.